So many people these days give lip service to this charity or that, but you really have to admire the people who put their money (literally) where their mouth is. Such is the case with Simon Apple as they are donating a portion of the sale of each CD to the Cystic Fibrosis Foundation. So, they get points for helping out a good cause, but how is the album? The answer can be summed up with two words - "very good". In fact, this is definitely one of the best progressive rock albums to be released in 2004. 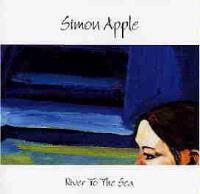 Simon Apple's particular brand of prog features a lot of jazzy textures, catchy melodies and great vocals. This is not the overly technical, million notes in a song variety of prog, but in fact the more "song" oriented style that in many cases produces stronger material than the other type. The guys in Simon Apple (Dan Merrill, Jeff Miller and Buzz Saylor) have produced a truly memorable and enjoyable musical excursion. They have even enlisted the help of quite a few notables, most prominently Tony Levin and Buck Dharma. 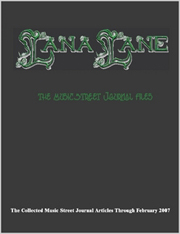 Dharma provides lead guitar and the solo on "Significance" and Levin lends his immense bass talents to "Weight of the World" and "Hold Me". The only complaint I have with the album is that (at least for my tastes) at times the Christian themes can be a bit hard to take. Still, musically this one is incredible. The piano vocal based melody that starts this is very powerful. The chorus is a quite potent and more full prog arrangement. This song alternates between those two elements Ambient sounds end this and carry it to the next track. A very jazzy flourish leads to a stripped down bass dominate verse. The chorus is another powerful and energetic arrangement. This moves into a killer jazzy prog rock musical excursion later with an awesome guitar solo. It drops down out of this to a full on mellow piano jazz segment that turns neo-classical. They jump it up into a major prog excursion that calls to mind both Yes and mid-era Genesis before dropping it back down to end. This one comes in with an even more jazzy arrangement. It feels a lot like a cross between a jazzy take on Echolyn with a little Police thrown in. As the song plays through it almost takes on a Steely Dan texture at times. This has some great vocal harmonies and gets quite powerful. The early segments on this feel a bit like a slow early Doobie Brothers cut. This grows slowly and has a definite R & B feel to it. It's the first weak point on the album, feeling a bit too mellow and slow for my tastes. It just doesn't grab you like the other material here. I would suggest passing this one by. This comes in as a full on free form jazz jam. An instrumental this is sister cut/introductory segment to the next number. Coming out of the previous tune, this is a bouncy bluesy jam that rocks out with a lot of charm. The lyrics are a bit over the top preachy for my tastes, but I suppose they might not be to everyone. Musically it keeps wandering through varying jazz oriented prog structures. This one is a bit weak, mostly in the lack of a coherent and concise path. The triumphant chorus and vocal arrangement are definitely high points, though. It is another that calls to mind Steely Dan just a bit. This bouncy rocker features a slightly Police-like texture. Buck Dharma (Blue Oyster Cult) lends some extremely tasty guitar work. This is a very accessible and fun track. The breaks have a killer prog texture. Dharma is truly one of a handful of guitarists who always seem to know exactly what to play at what time. This cut has a slight olde world feel in the introduction. As it carries forward it becomes another jazzy jam, this one balladic in tone. A carefree bouncy mode takes it before it jumps into the hardest rocking segment of the disc so far - a crunchy metallic jam. The heavier sounds continue for a time as part of a return to the earlier themes until it drops back to its laid back jazzy beginning. As this resolves out it moves into a faster paced free form jazz jam. This evolves into a very proggy texture a bit like a more jazzy Starcastle. This brief instrumental is sedate and pretty. Another whose Christian lyrical themes are a bit over the top for me, this one is a strong prog ballad. It also turns rather jazzy, and the instrumental break is another that calls to mind old Genesis a bit. It is quite dynamic. This is a powerful prog ballad. This acoustic guitar driven ballad has a bit of a folky texture. It even has a touch of a country sound at times. This bouncy jazzy number is a lot of fun. It turns soaring and powerful later as the high energy kicks in. This is really high point - simple and to the point yet uplifting and fun. The horn arrangement and vocal harmonies are classic. This brief cut is the sound of children with an understated, down in the mix vocal line. Piano and vocals start the title track. That balladic mode creates the texture for the majority of the piece, although at times they pull it to a full on prog theme. Listed as a separate track, this is just a pause before the next song. This is a single version of the cut from earlier on the disc.